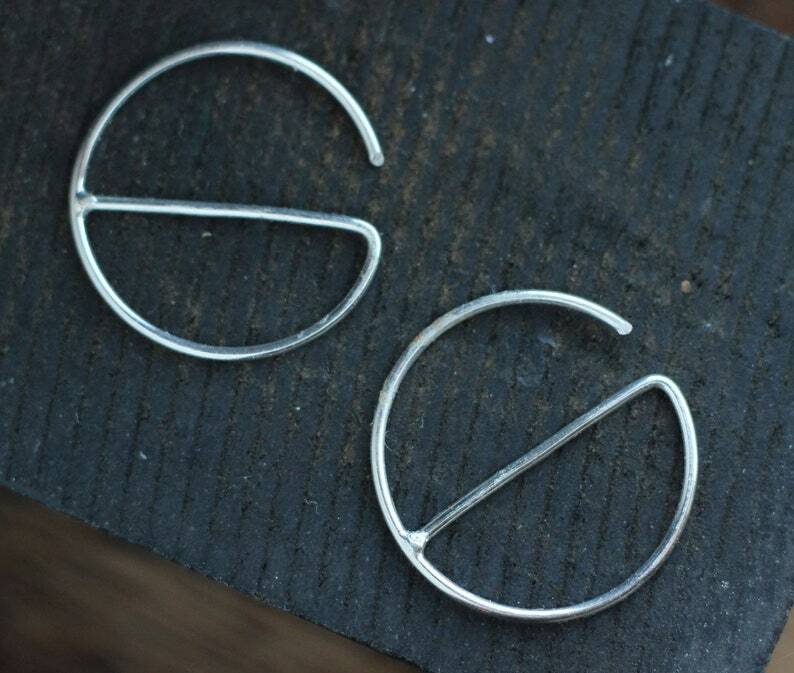 Modern take on the simple silver hoop. 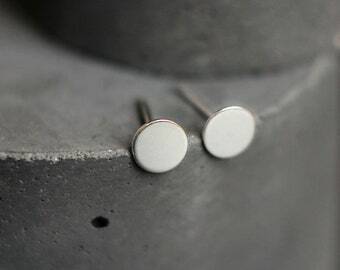 Earrings measure 15mm in diameter and are sterling silver. 14k gold filled hoops are also available! Select choice at checkout. 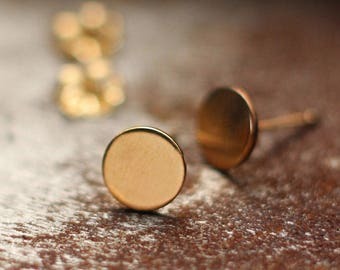 What is gold filled you ask? Let me explain! By law, it has 1/20th by weight layer of 14 karat gold permanently bonded over a core of base metal. It has a hundred or more times the amount of gold than in gold plate. Under normal wear with reasonable care that you would give any precious metal jewelry, 14KGF jewelry will not peel or flake.